Das Phaser 4500 ist nicht mehr als Neuware erhältlich. Bitte beachten Sie das Austauschprodukt. Fastbind Hardcover und Softcover Einbände, Hardcover-Fertigung On-Demand. Editors Choice Award - The Phaser 4500N printer was selected for its speed and value. Phaser 4500N, 5 stars (out of 5) and an "Editors Choice" distinction. Output quality and connectivity are highlighted, as is the devices use of PhaserSMART. The review states, "The Xerox 4500N should definitely be on your shopping list if youre looking for a highly productive and inexpensive monochrome laser printer." Phaser 4500N awarded first place in the Workgroup Laser Printer chart, netting 3.5 out of 5 stars. The Phaser 4500 topped the Okidata Oki B6200n, HP LaserJet 2430tn, Lexmark T430dn and the Samsung ML 2251N. PC World editors praised the Phaser 4500N for its ease of use, simple network installation and overall performance, noting it was the fastest printer in its class. 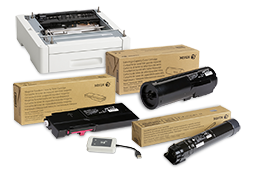 Network Printers: Leading Lasers - "Rated at only 36 ppm, this printer blew away the competition for speed and was among the best for quality." The reviewer also noted, "...offering network configuration that just doesn't get any easier. Choosing the 4500 DT as our Editor's Choice was a no-brainer." 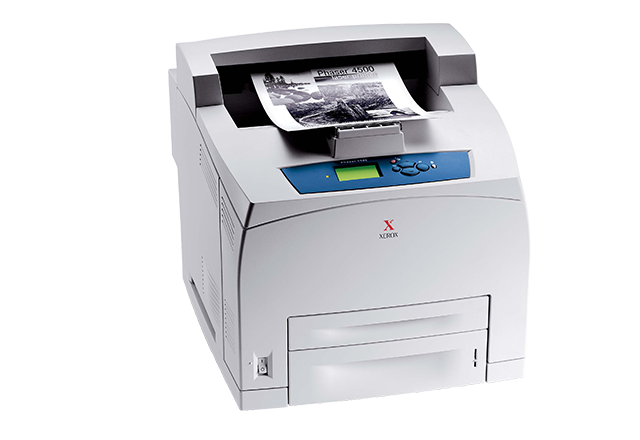 4500 Wins Editor's Choice Award - "The leader in speed, quality and manageability is the Xerox Phaser 4500DT. Rated at only 36 ppm, this printer blew away the competition for speed and was among the best for quality."